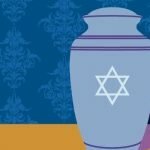 The program will begin with lunch at 11:45 am and continue with Rabbi Levine discussing What About Cremation? from 12-1 pm. Although the lunch is free, RSVPs must be in by Thursday, February 7th! No Exceptions! Confirm your reservation at rsvp@agudasachim.org (rsvp@agudasachim.org) . If you would like to co-sponsor or sponsor February’s Lunch w/the Rabbi, please contact Bobbie at 614-237-2747, ext. 22 or bshkolnik@agudasachim.org (bshkolnik@agudasachim.org) .